Welcome to the University of California Cooperative Extension WAEMAP Program Website! 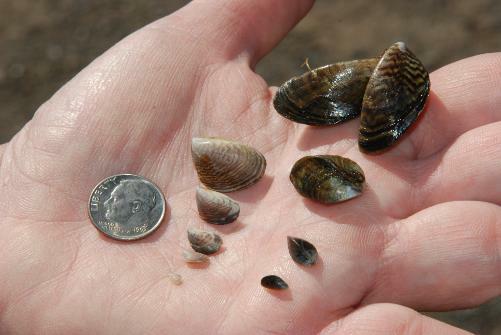 Invasive Eurasian mussels - quagga and zebra mussels - are a threat to water and ecological systems in California. They foul (attach to) and clog most hard substrates, for example, docks, rocks, trashracks, pipes, and pumps. Costs to manage these mussels are significant; the Metropolitan Water District in Los Angeles, CA, pays roughly $10 million per year to manage quagga mussels. 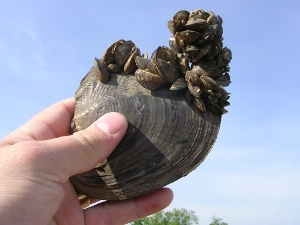 The WAEMAP project was initiated in late 2011 to assist Caifornia water managers in preventing and controlling Eurasian mussel infestations. We provide education and outreach to water and irrigation districts, local and municipal water agencies, and power agencies via this website, publications, and a workshop series. We thank you for your interest in the WAEMAP project! Note that this is a new website (3/2012) - please excuse any pages that are still "under construction". Browse our pages and be sure to provide any feedback or suggestions.